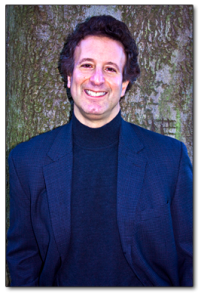 An Interview with thriller master, Jon Land, about his latest book, BETRAYAL. Jon Land’s BETRAYAL (Forge, January 3, 2012) is a stunning, true-life thriller that pits a lone, fearless FBI agent against the gangster who betrayed the mafia, fooled the FBI, and got away with murder… all while under the FBI’s protection. That’s what dogged FBI agent Robert Fitzpatrick (already one of the most celebrated FBI agents of the modern era for the takedown of Sam Bowers in the famed Mississippi Burning case, the assassination of Martin Luther King, and taking down a US Senator and five US Representatives in the FBI’s ABSCAM sting operation) did to his greatest adversary: Whitey Bulger, Boston gangster and “supposed” FBI informant. The facts. Bulger had been on the books as an FBI informant against the mafia for years. The truth. FBI agent Fitzpatrick uncovered the grim truth that Whitey was providing no real information while reaping the rewards of FBI protection that ultimately enabled him to murder three of Fitzpatrick’s informants after corrupt agents leaked word they were ready to talk. Even worse, the corruption stretched all the way to the highest levels of Bureau headquarters in Washington D. C.
This is the story of Fitzpatrick’s determined efforts to end Bulger’s murderous reign. It took two decades. He became an outcast and had his storied career ingloriously. Yet he didn’t stop. In fact, nothing could stop Fitzpatrick’s relentless quest for the justice and vindication he ultimately received, finally, in 2011. “Betrayal is a staggering story of murder and corruption in Boston surrounding the bizarre case of the infamous gangster Whitey Bulger. This is a stupendous read, as electrifying as Mystic River but even more horrifying for being absolutely true. “A gripping saga of one honest and determined agent going up against a wall of corruption. Fitzpatrick and Land lay out their case in brilliant fashion—the writing is crisp and solid; the plot is warp-speed paced; and the story is chilling in the details, both large and small. This is Serpico on a federal level, the corruption running up the ladder to the very top, lies and deceit at every turn for all to see if only they chose to give it a glance instead of turning away to line their pockets or further their careers. 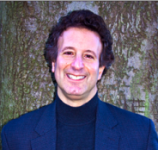 Jon Land is the critically acclaimed author of 30 novels, including the bestselling Caitlin Strong series that includes the titles STRONG ENOUGH TO DIE, STRONG JUSTICE, and STRONG AT THE BREAK. STRONG AT THE BREAK was named a Best Book of the Year for 2011 by STRAND MAGAZINE and a Top Thriller of 2011 by LIBRARY JOURNAL. His short story for THRILLER 2, “Killing Time,” was nominated for a Dagger Award and Strong Justice was runner-up for Best Novel of the Year 2010 at the New England Book Festival. Sometimes real life is just as compelling as fiction. In the past century, nothing is more iconic in the pursuit of American criminal justice than war between the Mafia and the FBI. 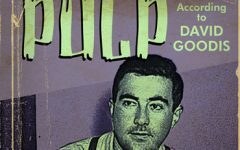 How did you become involved in telling the story of Mafia bad guy Whitey Bulger and FBI agent Robert Fitzpatrick? Great opening question! I met Bob Fitzpatrick through some mutual friends who knew his background and the fact he was trying to write a book. They brought us together and right from the start I was hooked by his story, even though I’d never done nonfiction before, mostly thanks to the fact that the depth and texture of Bob’s story made it feel like fiction. See, it had a beginning, middle and an end, along with villains, conflict, character development and a great theme. Of course, if I’d know how much work it was going to be, I might have decided otherwise! Thankfully, it worked out just the way it did and now I could be looking at my most successful book ever. Talk about irony! You’ve often said that Caitlin Strong, the hero of your Texas Ranger series (STRONG ENOUGH TO DIE, STRONG JUSTICE, STRONG AT THE BREAK), writes herself. How did it feel to write a real person? What do you think Caitlin would think of FBI agent Fitzpatrick? Another great question and it’s actually one I hinted about in the answer directly above. Great heroes are defined by any number of qualities. Foremost among them, traditionally anyway, are sacrifice, isolation, and waging a fight against far more powerful forces. Well, both Caitlin and Bob Fitzpatrick share all of those qualities as heroes so I think they’d get along just fine. The real interesting point is that the key to great fiction is finding the voice of your hero. Turns out the same thing is true of nonfiction. Finding Fitz’s voice was my biggest challenge, and it’s what helps BETRAYAL read as powerfully as it does. Every author is gripped by an idea or scene that drives the book. Is there a scene that really stands out for you, something that makes this book especially personal or compelling? The first scene that comes to mind is the prologue in which the notorious gangster Whitey Bulger tortures and kills one of Fitzpatrick’s informants. This immediately sets up the kind of psychopath he was and the danger and threat Fitz was facing in confronting him. Which brings me to the second scene, that being the only actual meeting between the two of them. That scene, the confrontation of these two iconic figures, encapsulates the book’s central conflict and reveals so much about Fitzpatrick’s character. Very few books to have portrayed Bulger previously contain any real scenes with him. These two just jump off the page in BETRAYAL. Tell us about the process in writing and researching this story. How was it different from writing fiction? And how did you handle the process of merging narrative, storytelling, and historical accuracy? Well, keep in mind this is a first person memoir, so my research was primarily based around distilling Fitzpatrick’s notes, his own writing and the product of our discussions into a coherent story that’s inherently complex and, until BETRAYAL, very difficult to grasp. That said, you’ll notice that the Endnotes (very unusual for first person memoir) contain corroboration of all the claims Fitz is making. The question about merging narrative, storytelling, and historical accuracy is spot on, because, I’ve gotta tell you, reality doesn’t unfold conveniently. So the biggest challenge I faced was creating story around Fitzpatrick’s experiences and interjecting emotion that makes you come to know and root for him. That’s no different than the challenge faced in fiction, so the two approaches aren’t as different as it may seem. Research lover or hater? What were the aspects that required the most research, and how did you bring research to life? Fitzpatrick thinks like the brilliant investigator he is, not in the same systematic fashion as a writer/storyteller. So the aspects that required the most research and background on my part were the fuzzy areas of his narrative. For instance, his own writings refer at one point to uncovering corruption in the Miami police department in the mid-to late 70s while he was running the Economic Crimes division of the Miami FBI. What my research revealed was that Fitz was actually referring to the infamous Miami River Murders, perhaps the worst case of police corruption in history that saw over 200 officers arrested and a bunch of them jailed for murder and drug trafficking. Fitz knew that but never went into detail—that was my job, thanks to the research. So the short answer was my research really fleshed out both Fitz’s own background and the Bulger crime era he found himself plunged into upon being sent to Boston in 1981. Let’s talk about the villain. Thriller readers love a good villain, and authors relish creating three-dimensional bad guys. In this case, the villain is very real. How did you handle “getting into the villain’s head?” Is there anything redeemable about him? Let’s start with your final question: No, there’s nothing redeemable about Whitey Bulger. And, for better or worse, in this case BETRAYAL isn’t about getting into his head; it’s about confronting Fitzpatrick with the sum of his murderous deeds. Those deeds, specifically 40+ murders (more than a dozen of which were committed after Fitzpatrick recommended Bulger be closed as an FBI informant and targeted instead), define his character—deeds rather than thoughts, in other words. One of the realities of first-person memoir is that you’re in the narrator’s head the whole way so everything you come to know about other characters is from his viewpoint and perspective. I think in fiction we want our characters to be shaded in gray but, in reality, in the case of someone like Bulger, there’s no ambiguity. He’s a sociopath, plain and simple. In the end, what do you hope will be the effect of telling this unique piece of history and making this untold story available to the public? Wow, you really hit on something there! And what you’re describing is actually an awesome responsibility, so let me take a stab at this. Look at the sexual abuse scandals that continue to plague the Catholic church. Look at the Penn State debacle. Those and the Bulger fiasco are all about two things: cover-up and corruption. 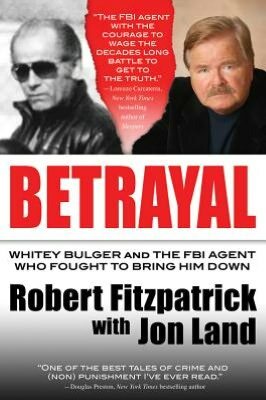 I don’t want people to read BETRAYAL as just a “Whitey Bulger” book. I want people to read BETRAYAL as a deeply cautionary tale about the abuse of power and how corruption can so easily and swiftly become cancerous to an institution even as storied as the FBI. The thing is, corrupt officials don’t believe they’re doing anything wrong. They have a myriad of justifications for their actions, and BETRAYAL traces one of the most egregious examples of that ever. What I really hope readers will take from it is the importance of having individuals like Bob Fitzpatrick—call them silent sentinels—around to restore balance and stand up for what’s right. The fact that that sounds clichéd makes it no less true. I’m excited to see your backlist finally available again! There are so many new readers who haven’t been introduced. What will they find waiting for them? They’ll find all of my early books, the first thirteen titles, that include the first five in the Blaine McCracken series. People can look forward to seeing me in a far less developed state as a writer, back when I was in love with wild, over-the-top action scenes and big James Bond-like stories. In all humility (laughs), I’ve got to tell you that I’m actually pretty amazed so many of these early books hold up as well as they do. Well, STRONG VENGEANCE, the fourth Caitlin Strong book, publishes in July. I’m about to start a collaboration with the great Heather Graham on a new paranormal thriller series (Think OMEN meets TWILIGHT) and I’m actually penning an original E-book for Open Road Media that brings back my best known series character, Blaine McCracken, after a 15-year hiatus. For me, this business is all about hedging your bets and remaining open to all options. Ah, saved the toughest for last! The great David Morrell is as close to a mentor as I’ve got; reading his books in the 80s made me want to be a writer because he’s such an extraordinary talent as a stylist as well as storyteller. I’d like him to write a story for me akin to the wild, breathless stuff he did in BROTHERHOOD OF THE ROSE, FRATERNITY OF THE STONE, etc. This is the man who basically invented the modern action-thriller, but he refuses to be typed, and, unlike so many of us, loves to redefine himself every tiMe out. He could still be writing Rambo books and be wildly successful at it. But he prefers to challenge himself. That said, I’d love to see what he could do with a throwback tale—the rest of us, his contemporaries now, would likely pale by comparison! To learn more about Jon, please visit his website.